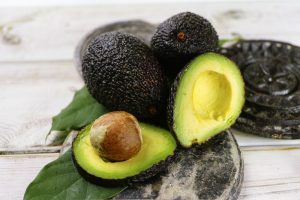 The U.S. Department of Agriculture’s Animal and Plant Health Inspection Service (APHIS) is extending the comment period for a proposed rule that would allow the importation of Hass avocados from Colombia into the continental United States. We are also notifying the public of the availability of a revised pest risk assessment (PRA) and risk management document (RMD) associated with the proposed rule. Continued analysis by APHIS shows that the proposed importation of Hass avocados from Colombia poses a minimal risk of introducing pests of concern, including the pink hibiscus mealybug, into the United States. Extending the comment period will allow interested persons time to review the new information and to submit comments by the new closing date of March 20, 2017. The comment period for the proposed rule published on October 27, 2016 is extended until March 20, 2017. APHIS will consider all comments that we receive on or before March 20, 2017, as well as comments received during previous comment periods for this rule, before making a decision regarding changes to the import rules for Hass avocados from Colombia. Postal Mail/Commercial Delivery: Send your comments to Docket No. APHIS-2016-0022, Regulatory Analysis and Development, PPD, APHIS, Station 3A-03.8, 4700 River Road Unit 118, Riverdale, MD 20737-1238. Supporting documents and any comments we receive on this docket may be viewed at http://www.regulations.gov/#!docketDetail;D=APHIS-2016-0022 or in our reading room, which is located in room 1141 of the USDA South Building, 14th Street and Independence Avenue SW., Washington, DC. Normal reading room hours are 8 a.m. to 4:30 p.m., Monday through Friday, except holidays. To be sure someone is there to help you, please call (202) 799-7039 before coming.